"No. 12" as in Aaron Rodgers. The Green Bay Packers fired 13-year head coach Mike McCarthy after an embarrassing home loss to the Arizona Cardinals on Sunday. Winston Moss served as an assistant on McCarthy’s staff for all 13 years as a linebackers coach, and as an associate head coach for the last 12 years. So, Moss has been McCarthy’s longtime right-hand man, and on Tuesday morning sent out a tweet seemingly in response to McCarthy’s firing. 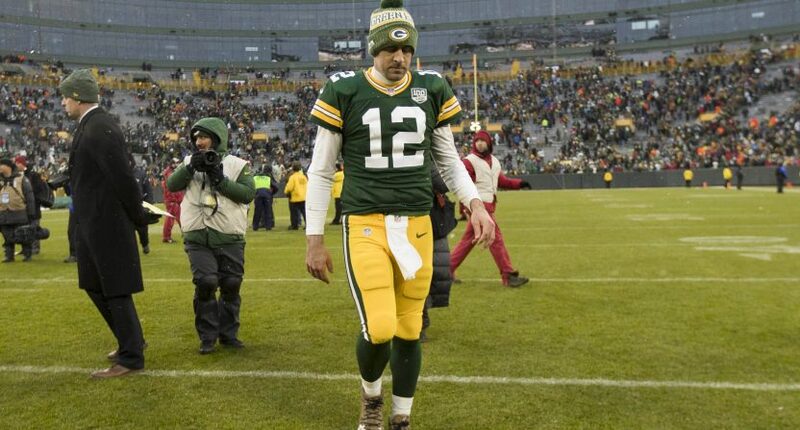 In the tweet, Moss suggested holding quarterback Aaron Rodgers “and everybody else in the building” accountable (or specifically to a “Lombardi Standard”). Well, just hours later on Tuesday night, the Packers fired Moss. The Green Bay Packers have parted ways with Associate Head Coach/Linebackers Winston Moss, Interim Head Coach Joe Philbin announced Tuesday. Associate HC/LB coach Winston Moss, one of 3 assts who had been with Mike McCarthy all 13 years, was fired tonight. Presumably, it was for tweeting, in part, regarding the next coach, "Find somebody that is going to hold #12 and everybody in this building to a Lombardi/Standard!" Odds are that Moss would’ve been out at the end of the year anyway; new head coaches — the Packers will likely hire someone to replace Philbin as well — usually bring in full new staffs and Moss obviously had a longtime relationship with the guy that was just fired. So, Moss probably really does have no regrets and was ready to move on. But vaguely calling out the star quarterback that has easily been the main reason — regardless of what Moss thinks — why the Packers have had so much success over the McCarthy tenure isn’t a great look. If Moss gets another coaching job in the NFL, expect that organization to give him a talk about social media (or just make him take down his account).